Trish Kahle October 2, 2017. Jacobin. The University of Chicago is fighting its graduate union tooth and nail — with a little help from the Trump administration. University of Chicago graduate employees, after more than a decade of organizing, will finally get to vote for our union, Graduate Students United, on October 17-18. But the university administration — helmed by President Robert Zimmer, who led the charge to take away private-sector grads’ bargaining rights more than a decade ago when he was provost of Brown University — is relying on the looming threat by the Trump administration to once again take away our right to organize under the National Labor Relations Act, and is doing everything it can to try and prevent graduate employees from having a voice in their work and their future. The latest move by the administration included petitioning the National Labor Relations Board to stall the grad workers’ union election after weeks of hearings culminated in the board’s regional director finally ordering an election. The problem isn’t that the university is worried about whether they can afford a union for its graduate workers — Zimmer has admitted that unionization wouldn’t significantly impact the university financially, and in any case, UChicago currently pays enough in hedge fund fees each year than it collects in undergraduate tuition. He knows they can afford to provide better health insurance, living wages, and affordable childcare. But for some reason, despite many years of what Provost Daniel Diermeier calls “continuously improv[ing] the graduate experience,” these basic benefits which our colleagues at many other institutions — including public institutions facing severe budget crises — enjoy continue to prove beyond the imagination of the UChicago administration. If graduate employees actually had a meaningful say in the terms of our employment by the university, we could move beyond vague promises of administration support and platitudes about the life of the mind, and actually institute policies that would allow grads — both as students and workers — to reach their full potential without worrying if they will be able to pay the thousands of dollars in medical bills, meet their rising rents, or afford child care. Work is something UChicago’s graduate employees are familiar with. We do a lot of it: from working in labs, to teaching courses and leading discussion sections, to running workshops and helping faculty with research and editing tasks. We hold office hours for our students, serve on committees on diversity, plan conferences, organize reading groups and film screenings, grade papers, tutor students in the writing center, and more. Our labor is fundamental to the basic functioning of the university and a crucial component of its intellectual life. Most of us are deeply invested in our work and find it personally rewarding, but we know that a life of the mind alone won’t pay our bills or ensure ideal learning conditions for our students. At issue for graduate employees are a range of issues which all center around a basic respect for our labor. If work is a familiar terrain to its graduate employees, remaking work is equally familiar to the University of Chicago, one of the strongest bastions of neoliberal economic thought in the United States. Since the term was coined in the 1950s, the ideas which circulated among the members of the Chicago School of Economics, including Milton Friedman, Gary Becker, and George Stigler — all of whom served as presidents of the right-wing Mont Pelerin Society — played a central role in reshaping the American economy and what it means to be a worker in the United States. Marrying a long tradition of individualism in American political thought to a policy program of deregulation and a globalizing world economy, these ideas have played a substantial role in stagnating wages, degrading working conditions, and cementing workforce casualization, an updated logistics industry, and “just-in-time” production. Most of the time, we think about these changes in the context of manufacturing, which saw corporations turn to the Global South in search of cheaper labor, but even those industries which cannot be offshored have been subjected to these changes. Institutions of higher education have not been immune from this labor market restructuring. In fact, casualization of the labor force in higher education — the rise of the adjunct tier of the professoriate — and enormous increases in administrative hires mirror changes in employment in other industries. Far from being protected by our dual status as student-workers, graduate employees have suffered under the neoliberal assault on higher education. As Michael Billeaux and I wrote in 2015: “Graduate workers are on the front lines in the battle over the neoliberalization of higher education. As both students and workers, they’re doubly targeted: at the same time states and university administrations are raising tuition and fees, they’re cutting wages and benefits and weakening job protections.” These policies aren’t just the product of a few administrators, but part of an industry-wide restructuring. 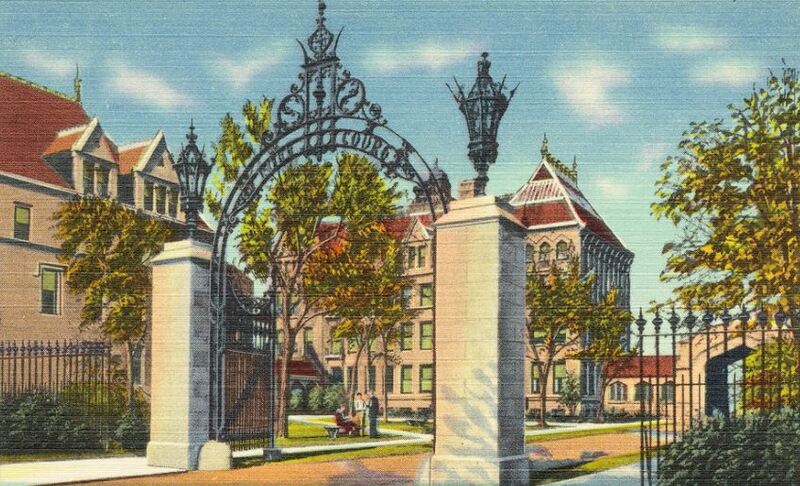 The fact that the administration’s opposition is rooted in this broader transformation of higher education in the United States — a transformation which values management over research and instruction, which sees higher education as a commodity that can be managed alongside the university’s endowment and real estate holdings — has become apparent in the extent to which the University of Chicago administration has gone to fight a decade of organizing by Graduate Students United to improve both graduate employment at the university and the UChicago community as a whole. Not only have they refused to voluntarily recognize our union in the wake of the August 2016 NLRB decision which once again secured our legal right to form a union, but they have fought us at every step of the way since we filed for an election after they refused to recognize the union which had been formed by a majority of the university’s graduate students. They dragged out hearings and engaged in what seemed to be a contest over which of their lawyers and administration witnesses could better insult the graduate employees who make the university run. And now, after they managed to stall us in hearings and delay the election by four months, they have filed another petition to prevent us from voting on October 17-18. The stakes are high for them, too: their long game is to overturn in the Columbia ruling which returned us to worker status under the NLRA last year — a prospect that appears to be a matter of if rather than when. In a recent email to the university’s academic employees, Provost Diermeier claims that the administration “respect the divergent viewpoints that exist on this topic [grad unionization]” and suggests that the administration encourages “the expression of those viewpoints in rigorous and mutually respectful debate.” But listening to the approach the administration and its lawyers took in our hearings before the NLRB, it was hard to feel respected. We listened to lawyers perform linguistic gymnastics in order to suggest that graduate employees “are not working. They are teaching,” and weren’t really employees because “most of their experiments fail,” (which, in addition to being insulting, also demonstrated a clear misunderstanding of the process of scientific research). In the most generous reading, the administration’s lawyers and the faculty they called to testify seemed ignorant of or misinformed about the amount of work graduate employees actually do, claiming that we do not hold office hours, do not substitute for faculty during TAships, and do not design syllabi. They claimed that research assisting that graduate employees in labs do was different that the work of an employee lab assistant. But even where they acknowledged the actual place of graduate employees in the research and teaching mission of the university, they tried to suggest that our contributions were suspect, inferior, and more a hindrance than a help. This does not, however, seem to be the majority opinion of the faculty. But the administration’s legal team chose not showcase the diverse ideas they claim to support. Instead, they declined to call faculty witnesses who believed that the work of graduate employees is fundamental to the basic functioning of the university and a core part of the university’s intellectual community. This industry-wide restructuring raises the stakes for unionization, especially at a place like the University of Chicago, one of the nation’s elite “Ivy-Plus” institutions that sets standards for the rest of academia. Improving graduate employment here can help improve working conditions at other private universities where graduate employees have not yet unionized as well as help to normalize collective bargaining as a standard part of academic life in the private sector — as it already is for many of our colleagues at public institutions — including the nation’s “Public Ivies” like the University of California, the University of Wisconsin, and the University of Michigan — and internationally. The struggle to unionize the nation’s private-sector graduate employees, as well as a new layer of public-sector grads at places like Mizzou, has impacts far beyond our years as graduate students. The all-but-collapse of the academic job market (a friend who recently received his PhD has yet to see a job posted in his field for this year’s job search) means that many of us look forward to a career of adjuncting. Increasingly, universities are investing in programs that encourage students to look for employment beyond academia — when as recently as five years ago, the subject of the “alt-ac” track was taboo in many departments. Particularly for graduate employees of color, these disparities in employment have magnified effects. The experience of building solidarity and bargaining collectively to improve our working conditions in graduate school must be carried into our post-graduate employment, where groundbreaking research, exceptional teaching, and impeccable service records have not been enough to stave off casualization. We do not live in a society that values the work of higher education; like all workers, we must fight to win the respect deserve. The University of Chicago has poured untold amounts of money into a decade of opposition to our effort to form a legally recognized union that would allow us to collectively improve our institution. Since we filed for an election this spring, they have done everything in their power to stop us from voting. But you can’t have “rigorous and mutually respectful debate” — which the administration claims to aspire to — when one side has billions of dollars at its disposal and the other side worry if they will be able to afford to go to the doctor if they get sick. Through collective bargaining, graduate employees would finally have meaningful input into the issues that matter most to our lives and work.